The Australian managing director of an accounting software company has said he is not concerned that they are “late to market” with the launch of their cloud accounting products. Last week, Sage announced new cloud accounting and people management solutions at the Sage Summit Melbourne to join Sage's existing cloud products. The new cloud accounting product, Sage Live, is built on the Salesforce Lightning user interface. Users will be able to manage multiple locations and currencies all in the palm of their hand, while taking advantage of the add-on solutions available on the Sage marketplace and the Salesforce AppExchange. Sage Live is scheduled to be available in Australia from April, and Sage Live for Accountants is scheduled for launch in July. Sage’s new cloud-based human capital management solution, Sage People, was also launched at the Sage Summit Melbourne, and is immediately available in Australia. Speaking to Accountants Daily, Sage’s managing director Australia, Alan Osrin, said Sage took its time in developing its cloud accounting products. “Sage is probably a bit late to market with cloud products,” Mr Osrin said. Mr Osrin said they didn't rush because accountants themselves haven't been very early adopters of cloud practice software anyway. “Accountants have been more about making sure the software that they use meets their requirements and as a result of that our client base has remained very stable. 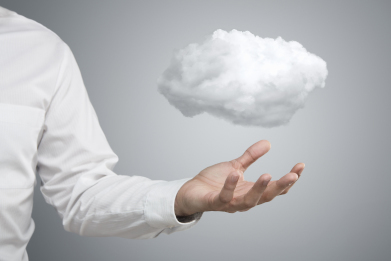 We haven't lost clients because they absolutely have to move to the cloud,” he said. Further, Mr Osrin said that the launch of Sage’s cloud accounting software was less the result of demand from its clients, but more of the desire to self-improve. “It wasn't pressure from clients, it was more pressure from ourselves to make sure that we've got the best practice solution available on the market, and the Salesforce platform allows us to leapfrog some of our competitors to the extent that we're not even playing catch up – we're actually leapfrogging,” he said.